Ever since the federal Centers for Medicare and Medicaid Services (CMS) released its guidance on work requirements earlier this year, there has been a lot of buzz about Kentucky, which will be the first state to establish work requirements for its Medicaid expansion populations. While there is plenty of uncertainty about the impacts that this change will bring, there is one thing we know for sure: Kentucky taxpayers are going to have to pay more to cover fewer people. But, “how could that be?” you might be asking. How could it cost the state more to require people to work? Here’s how: The reality is that work requirements are incredibly costly to administer, even as they create barriers to health care for many people. Indeed, recent budget proposals out of Kentucky anticipate that it will require $180 million in new expenditures during each of the next two years to cover the administrative costs of updating technology and tracking compliance with the requirement through case workers. That’s money that will not go toward health care or helping people via other essential public services, but rather simply toward funding bureaucratic systems. As North Carolina’s General Assembly considers closing the coverage gap via a program like Carolina Cares, members would do well to avoid heading down this same costly and bureaucratic road — especially since such programs frequently do a poor job of actually connecting people to jobs or skills training. Instead, they should remove the bureaucratic work requirement, which would likely be an even more costly endeavor here than in Kentucky given the nature of the current technology and administrative systems in North Carolina, not to mention the Medicaid overhaul that state leaders expect to implement in the next few years. Finally, even if it were possible and cost-effective to establish a new Medicaid work requirements bureaucracy, it must also be pointed out that North Carolina is extremely poorly positioned to implement work requirements in a way that guarantees employment and health care for those struggling in today’s economy. The reason: the jobs just aren’t there. Eighty-seven of the state’s 100 counties have more jobless workers than job vacancies and the cost of job training is increasing and remains inaccessible for many. Such a cost has also not been contemplated in projections for North Carolina’s budget in future years — projections that already strongly suggest the state will not have sufficient revenues to meet current service needs. The bottom-line question for proponents of Medicaid work requirements, therefore, is this: Why would our leaders push to serve fewer people with health care and force cuts to other programs and services that support family well-being and children’s educational success? Until someone comes up with a good answer, North Carolina should reject this bureaucratic and wasteful idea. Yesterday, health care advocates in North Carolina and across the U.S. were officially alerted to yet another fight to ensure that people retain health coverage and access to care. While officials in the Trump administration’s Centers for Medicare and Medicaid services (CMS) are framing their new “Dear State Medicaid Director letter” as “new policy guidance for states to test community engagement for able-bodied adults,” the real purpose is to create work requirements and other barriers for people seeking to enroll in and keep their Medicaid coverage. As North Carolina has not expanded Medicaid, the only adults who are eligible for coverage are pregnant women with incomes of up to 196 percent of the federal poverty level, parents and/or caretakers with incomes up to 44 percent of the federal poverty level, and the aged, blind and disabled. However, North Carolina currently has a pending Section 1115 Waiver proposal before federal officials that would transform Medicaid. 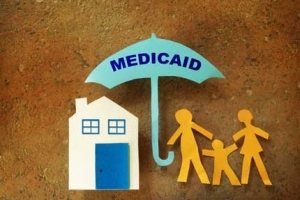 The amended waiver application has language referencing Carolina Cares or HB 662, which would increase access to Medicaid to adults up to 138 percent federal poverty. While Carolina Cares is awaiting legislative action from the General Assembly, it should be noted that Carolina Cares has language to impose work requirements if it should be enacted. The idea of formal, bureaucratic work requirements for Medicaid recipients has been shown time and again to be of no real value. Indeed, there is significant research from another safety net program (TANF) that debunks the CMS claim that work requirements somehow lift people out of poverty. The research shows that the impact of work requirements was actually very minimal and did not reduce poverty. What’s more, as a practical matter, such requirements are unnecessary. Research shows that 80 percent of Medicaid enrollees already belong to working households and that 60 percent are working themselves. Considering these data, it appears that states will have to deal with the administrative burden and cost of tracking adults’ working status unnecessarily. Not surprisingly, when it comes to cost and administrative burden, CMS is not planning on providing federal resources to implement or administer work requirements or other related activities. The bottom line: Medicaid work requirements are wasteful and ineffective. If North Carolina lawmakers move forward to close the coverage gap with such a requirement appended on, it’s essential that they consider factors such as the availability of jobs or even likelihood of being able to establish skills training programs in some of the more low-resource communities in the state. All that said, lawmakers should also note that, even when it’s implemented imperfectly, Medicaid can bring jobs across the state, help families become more financially stable as they avoid medical debt, and help them stay healthy so that they can contribute to their communities. On July 28, there was a collective sigh of relief across North Carolina and the U.S. as what was thought to be the last attempt to repeal the Affordable Care Act (ACA) and dismantle Medicaid failed. Advocates were hopeful that our lawmakers in Washington would commence bipartisan efforts to strengthen the ACA and improve Medicaid. Unfortunately, the zombie bill known has Trumpcare is back – this time as the Graham-Cassidy bill. Reports show that more than one million North Carolinians could lose coverage if conservative lawmakers are successful in passing this bill. 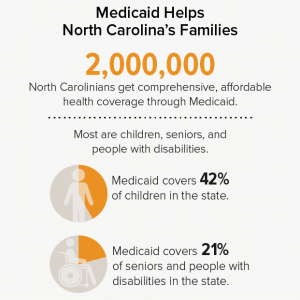 Despite its new name, the bill has the same damaging effects on Medicaid – a program that matters to North Carolina’s children, older adults, and people with disabilities. The Graham-Cassidy bill would dismantle Medicaid by restructuring the program from the current federal-state financial partnership in which the federal government pays for 67.6 percent of Medicaid costs to one featuring so-called “per capita caps” that provide a fixed amount per Medicaid beneficiary. In other words, caps are cuts to Medicaid funding. Thus, states will have to make decisions on whether to cut services, the number of Medicaid beneficiaries, or provider payments. As conservative leadership in DC prepares to cut coverage for millions, they would do well to remember the story of Rev. James Brigman. (see the video below). Earlier this summer, Rev. Brigman walked from North Carolina to Washington to stand, walk, and speak for his daughter Lauren Faith who depends on Medicaid. Lauren Faith’s Medicaid coverage allows her to get the nursing care she needs, but also helps her parents to work. Rev. Brigman and Lauren Faith are just a snapshot on why Medicaid is coverage that should be protected. Tragically, once again, our national leaders are preparing to put families like this in jeopardy. Today, the U.S. Census Bureau released state-level health insurance data that prove once again that the Affordable Care Act is working. In a year that has been filled with the White House working to sabotage the ACA and the GOP’s efforts to repeal and replace the ACA, lawmakers now have even more evidence that the ACA has led to significant coverage gains across the U.S. Nationally, the uninsured rate for the entire year of 2016 is 8.8 percent — down from 9.1 percent in 2015. North Carolina has the same downward trend as the uninsured rate dropped from 11.2 in 2015 to 10.4 percent in 2016. When looking at longer trends in health coverage data, we see that since 2013, 5.2 percent more North Carolinians have health insurance coverage. Considering these historic health coverage gains, lawmakers in Washington need to stop reviving “zombie repeal bills”and focus on market stabilization and strengthening the ACA. 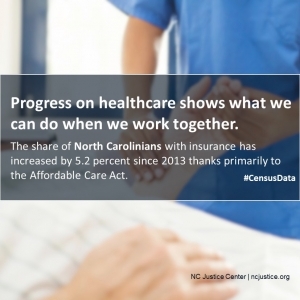 While these data from the Census Bureau give us good news, they also highlight how North Carolina lags behind many other states concerning its uninsured rate. That is because state lawmakers have failed to support bills that would increase access to Medicaid. The state-level data show that the uninsured rate for states that expanded Medicaid is 6.5 percent in 2016 compared to 11.7 percent in non-expansion states. Between 2015 and 2016 the decrease in the uninsured rate in expansion states was 0.9 percent compared to 0.7 percent in non-expansion states. As North Carolina moves forward with its plan to reform Medicaid, expanding access to the program will make the process truly transformative. There are approximately one million people who remain uninsured in the state, approximately half of whom would finally be able to access the care they need if lawmakers moved forward to close the coverage gap. The proposed program design for Medicaid transformation notes a strategy to address the opioid crisis, but considering that 144,000 people with substance use disorders are in the coverage gap, it will only help some North Carolinians. Reports from expansion states like West Virginia and Kentucky prove that expanding Medicaid helps address states’ opioid crisis. Considering that year after year Census data show how the ACA positively impacts North Carolina’s health coverage rate, it is time for the state’s lawmakers in D.C. and Raleigh to work to strengthen the ACA and fully implement the law by closing the coverage gap. While US Senators Thom Tillis and Richard Burr are enjoying their Fourth of July recess, children, working families, veterans, older adults, and people with disabilities are worried that the Senate health care bill — known as the Better Care Reconciliation Act (BCRA) — will cut their access to health coverage and care. What is perhaps most troubling about the BCRA are the massive cuts it proposes to Medicaid. 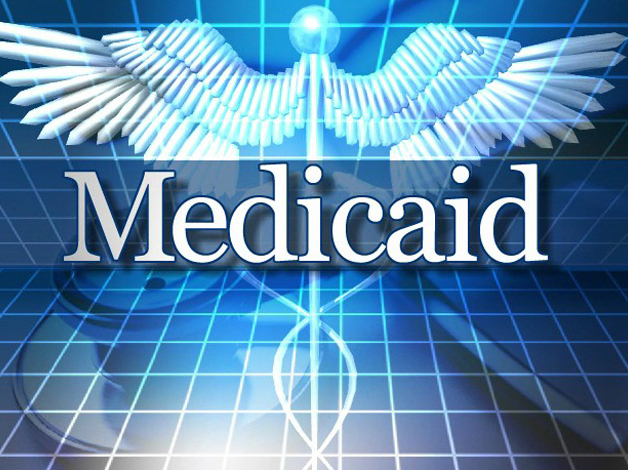 The Congressional Budget Office released an addendum to its original report showing that by 2036 federal funding for Medicaid will be 35 percent lower under the plan. There is already lots of in-depth analysis proving how Medicaid matters to our most vulnerable North Carolinians, the state budget, health care workers, and education, but a recent piece that has gained national attention proves that Medicaid matters to mothers. Specifically, North Carolina’s Medicaid program has been especially important to addressing the longstanding gap between white and black maternal mortality. Even though North Carolina is not an unusual health outcome performer, it is unique in that it has managed to close the maternal death gap between black and white mothers. Community Care of North Carolina works through Medicaid to provide “Pregnancy Medical Homes” so that women who may experience stressors or other risks to a healthy pregnancy and delivery have access to resources and supports to lower those risks. The success of this Medicaid initiative has actually helped North Carolina improve maternal mortality to the point that is closer to the national average. As Senators Tillis and Burr mull the Senate health care bill, they should also think about efforts state administrators and lawmakers are taking and should be taking to address social determinants of health and reduce health disparities. The state’s latest Medicaid reform waiver application, which has been submitted to the feds for approval, proposes significant improvements in this realm. Unfortunately, If the Senate approves on a bill that includes cuts to Medicaid that will reach $772 billion by 2026, achievements like reducing the maternal death gap will be hard to come by.